Hike about the NYC landmark while contributing to the preservation of endangered species. Before I continue, I need to come clean. I used to work for the Wildlife Conservation Society as a web developer. Admittedly, I have a soft spot for them. The non-profit was originally known as the New York Zoological Society until they renamed themselves WCS in 1993. The organization owns and is headquartered in the Bronx Zoo, a neighborhood stalwart since 1895. Then Zoo Director William T. Hornaday officially opened the gates to the public in 1899. Aside from one major scandal in 1906 - Ota Benga, a 23-year-old Congolese man who was caged in a monkey exhibit for a few days - the organization has been credited with making significant strides in saving species all over the world, most notably bison. President Theodore Roosevelt was a prominent crusader for the creatures forming the American Bison Society which included Hornaday as a member. During my employment, WCS divisions made extraordinary environmental and scientific contributions, particularly in health. In 1999, former in-house Veterinary Pathologist Dr. Tracy McNamara identified West Nile Virus in the area, a dangerous disease spread by mosquitos. Hundreds of WCS projects to protect wild spaces are underway in 60 nations worldwide. Annually, the Bronx Zoo welcomes over 2 million guests. It is home to 4,000 animals. Habitats are designed to recreate each tenant's natural environment. The zoo is divided up in regions. Asia and Africa feature wildlife indigenous to those continents. 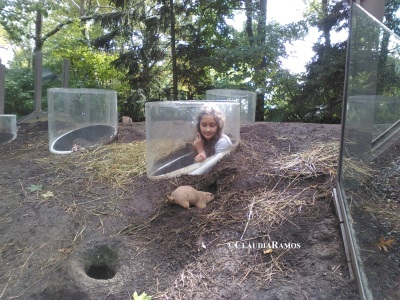 Then there are specific buildings which shelter only one category of animals such as the World of Birds or the Mouse House. The rest of the exhibits are mainly free standing. Attractions are scattered about the park. A 4-D theater experience offers a bump and a spritz during the show. A newly renovated children's zoo is a great one-stop shop for parents. 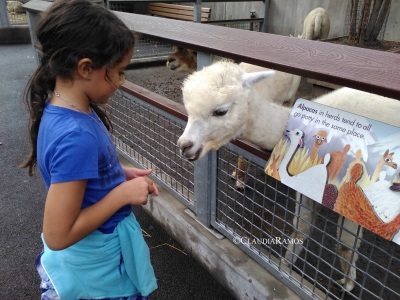 Besides interesting exhibits, kids will happily while away time feeding farm animals. Afterwards head towards the plaza for a carousel ride, food and shops. Some adventures are seasonal such as the camel rides and the Monorail, an elevated train which includes scenic views of the Bronx River. If you've got the energy to see the entire zoo, get there by 10am. Otherwise carefully map out your visit. Make special note of animal feedings along the way. Walking the park is exhausting. There is a shuttle, but it operates seasonally. The zoo is pricey. If you're visiting with four or more people, go for the premium membership. It offers you free parking and access to all the attractions. When you add up all the entry fees to must-see exhibits, like Congo Gorilla Forest, becoming a member is a bargain. If driving, sign up online, parking booths don't handle registrations. Members get 10 percent off food and purchases. Only general admission is free on Wednesdays, non-members must still pay for parking and to enter special exhibits. Membership also gives you free access to WCS's other facilities: Central Park Zoo, Queens Zoo, Prospect Park Zoo and the NY Aquarium. The easiest gate to access, if driving, is exit 6 off the Bronx River Parkway. It takes you directly to one of the parking entrances referred to as Gate B. All the other gates force you onto roads and right into heavy Bronx traffic. Traveling by mass transit? Take the #2 train to Pelham Parkway. Nearby buses are BxM11, Bx9, Bx19, Bx12, Bx22 or Q44.